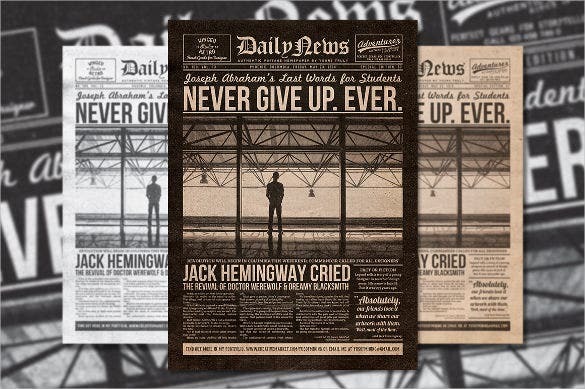 14+ Old Newspaper Templates – Free Sample, Example, Format Download! The old musty smell and the discolored paper along with the age old font is what captures the fancy of the readers and propels them to go on reading an old newspaper. So, spreading word or sharing your thoughts using this style would definitely gain you more followers. Wondering how? 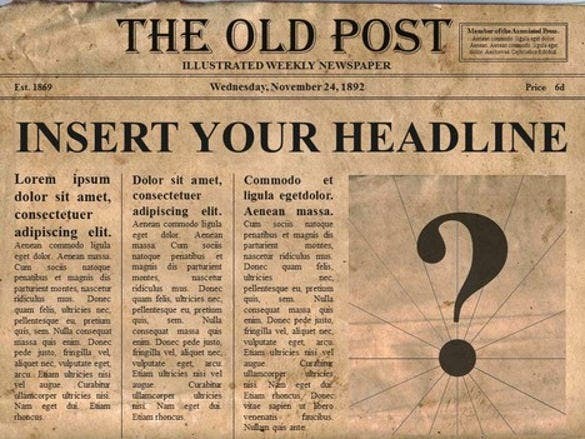 Go ahead and download this old newspaper template. 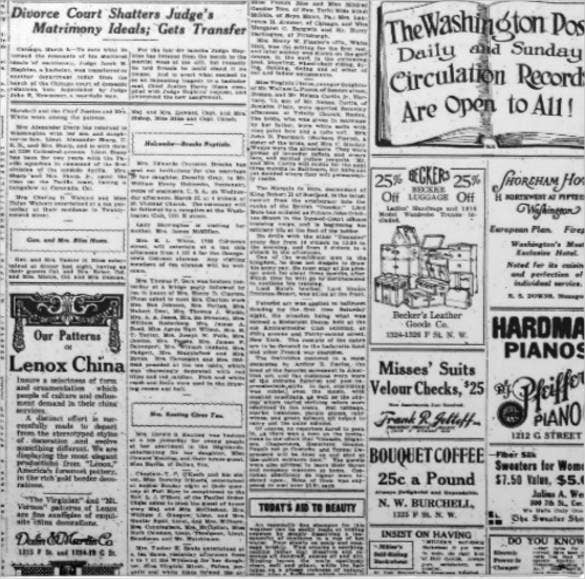 You may Like Vintage Newspaper Templates Designed to mimic an old newspaper, it contains enough space to house headlines, columns for content and even retro style images. With a well thought of structure, this Newspaper Templates can be easily customized to suit your requirements and the mood of your content. 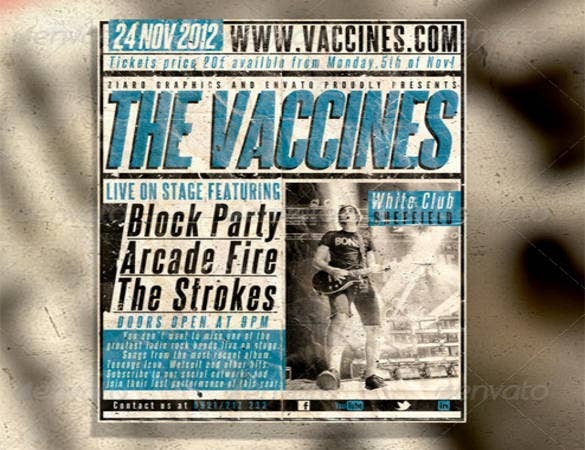 Are you covering the performance of a popular rock band? Then this template would be ideal for you. It has a peppy feel, with a blue and black combination to go with the look. If you want a minimalistic look for your daily, sans images or bright sensational headlines, then this is the template for you. It would also be better suited to the ad page of your paper. 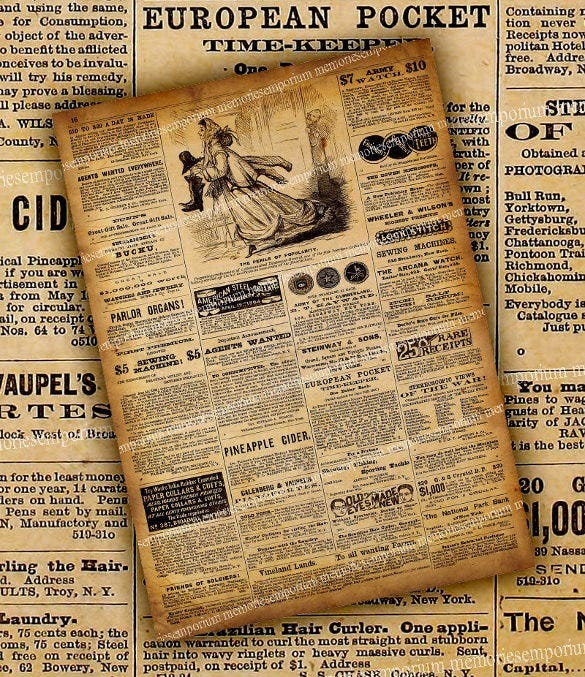 With a light cream background and stylish black script, this old newspaper template would be perfect if you’re looking for an archaic look for your paper. You can even add images or ads on the side. 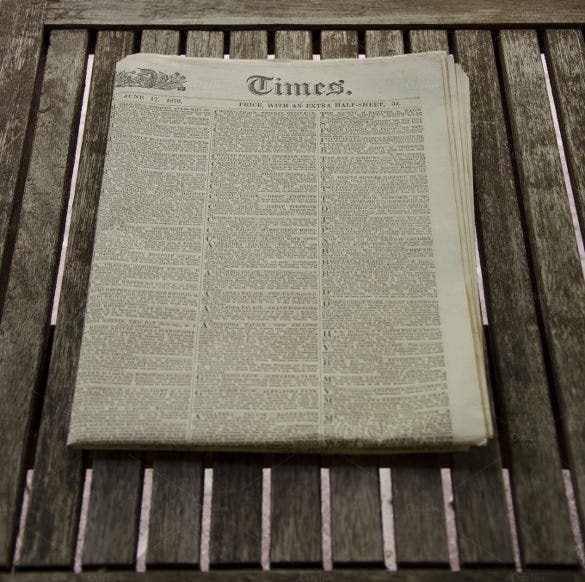 If you’re looking for an efficient and easy way to display advertisements on your newspaper, then look no further. 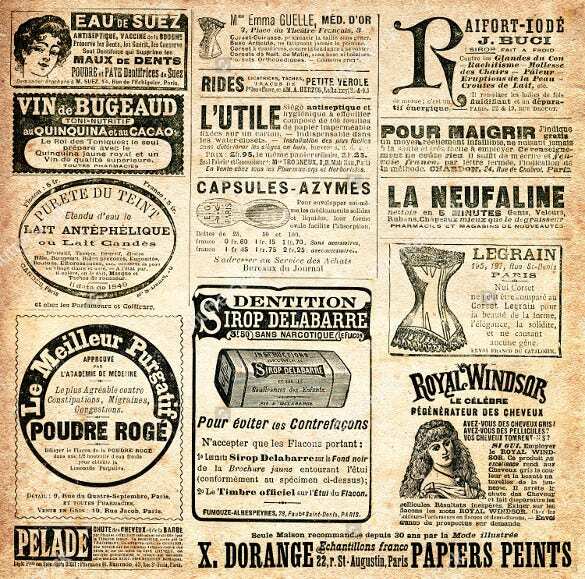 Each ad has been organized well, to avoid looking clumsy or untidy. 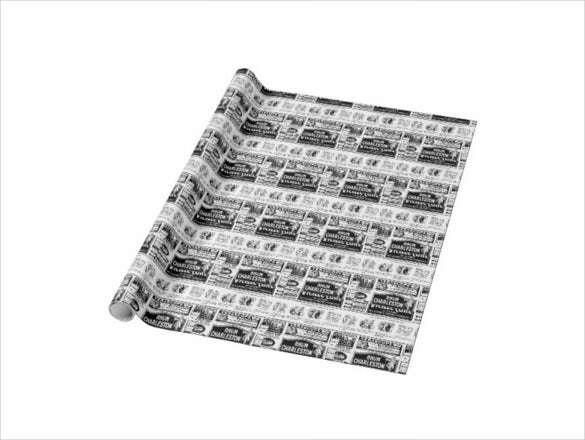 This particular newspaper template is available in the format of a wrapping paper. All you have to do is download it, edit and customize and then print it for use. 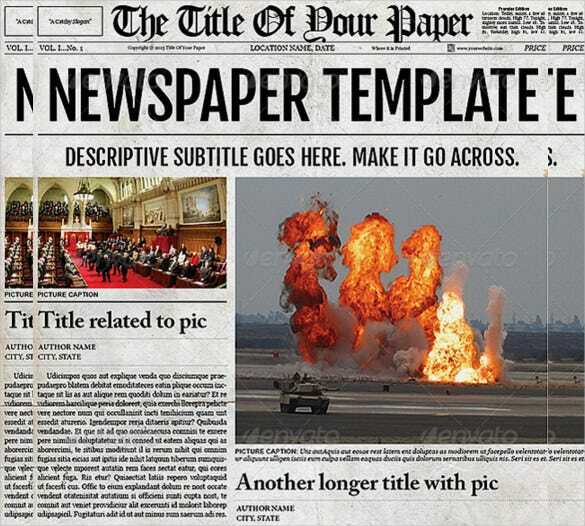 This newspaper template would be perfect for a daily. You can add two articles above the fold, with one column slightly larger than the other. You can also add relevant images to the news items. If you want your weekly newspaper or tabloid to have a retro look, complete with pages that appear tattered, then why not try this out? It would give your readers a unique experience. If you’re looking for a fun, stylish way to display ads on your paper, then you could try out this template. You can place multiple ads on one page, accompany the ad body with relevant images to attract attention. 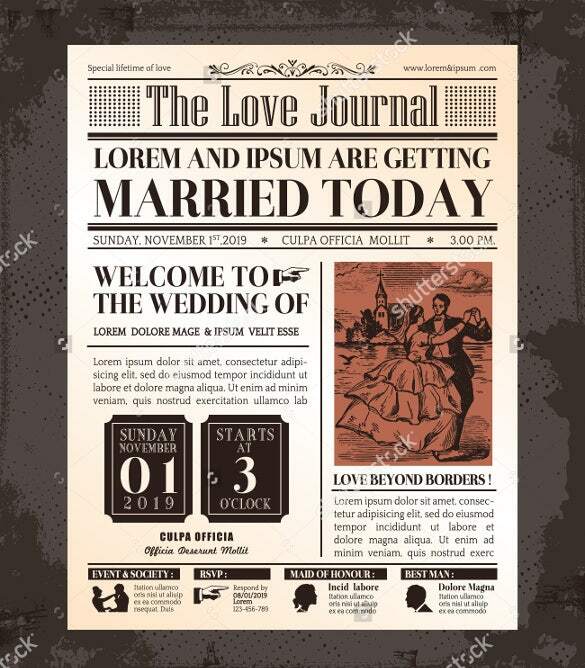 If you’re in charge of publishing a newspaper that puts up wedding invitations or covers weddings, then you could try this template. 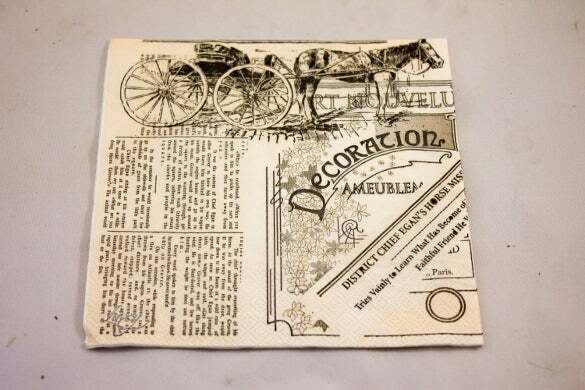 This wedding newspaper has a vintage feel that you might appreciate. 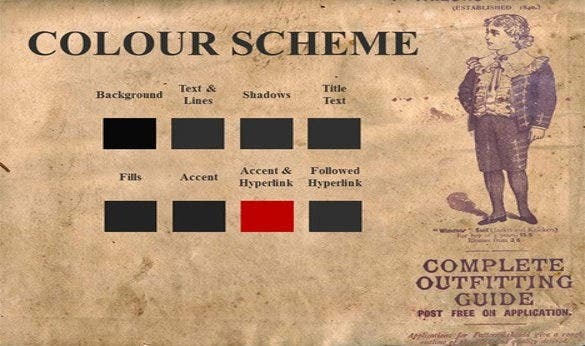 On this template, you have distinct sections for text, images and advertisements. You can arrange them in the way you please; adhering to the old traditions, this newspaper is devoid of color.